Does God have One People or Two? Is the nation of Israel still relevant today to believers in Jesus? Do those who are ethnic Jews have any place in the plans and purposes of God if they do not believe in Jesus? And what about the land of Israel — I cannot think of a more controversial piece of real estate on the planet — yet does Jerusalem and the land of Israel hold any special place in the heart of God that is different from Tallahassee or Peru? I believe the answers to these questions are important to the heart of God and they are not academic. I also believe the answers to these questions have direct impact upon the lives of Jews and Arabs in the land of Israel therefore they are truly not academic, however in answering the question I want to beg your forgiveness as I must get a little academic to begin with. 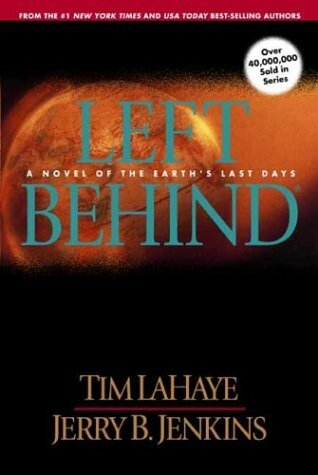 Did you grow up Dispensational – always afraid you would be Left Behind? For the last hundred years in North America two very vocal hermeneutical positions have held sway in the church and both have come to different conclusions concerning the place of Israel. The Dispensational position has been supported by the likes of Dallas Theological Seminary, the Assemblies of God, TBN and the Left Behind series – a strong proponent of this position today would be John Hagee. This position has supported the political nation of Israel almost without criticism, the theological position of this group is that God has TWO peoples: Israel and the Church. According to the traditional Dispensational position God made promises to Israel in the Old Testament which still apply today, however the Church is a different people that began on the day of Pentecost (some even see the birth of the Church taking place in Acts 8 or even 10 – when Gentiles are grafted in). The church will be whisked away by a secret rapture according to this view before an event called the Tribulation while Israel unfortunately will have to go through the great trouble coming to the earth. The extremes of this view, which most Dispensationals eschew, but which most of the opponents will say that this view leads to is “Dual Covenantism”, this essentially means that there are two ways of salvation. Christians are saved through the sacrifice of Jesus, whereas Jews are saved by virtue of their chosen status through the Abrahamic Covenant. I am of course generalizing here, but this means that Dispensational groups will visit Israel en masse, but will often be hesitant to support any form of evangelism to Jewish people. 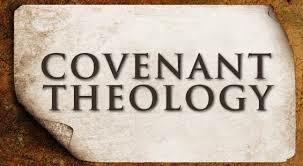 The other hermeneutical position that has been very popular and vocal in recent years has been Covenant Theology. This position has been largely formed and adopted by the Reformed wing of the church – think Presbyterians, many Baptists etc. It holds that there are two (and oftentimes three) covenants that God made (although not explicit and not to be confused with the explicit covenants of Abraham, Moses, David etc). The “Covenant of Works” was the covenant made between God and Adam promising life for obedience and death for disobedience. The “Covenant of Grace” was subsequently made after the Fall of Man – where life is promised to all who put their faith in Jesus. An additional Covenant of Redemption is often added to this framework, which is a covenant made between God the Father and God the Son about the way that the redemption of humanity would come about through the death of the Son. Humanity has therefore related to God since the Fall of Man according to this schema under the Covenant of Grace. Under this position the church is simply a continuation of the people or assembly of God found during Old Testament times. The “qahal” of Israel is the beginning of the “church” in Old Testament times, then because of the death, resurrection and ascension of Jesus the qahal or ekklesia of God’s people is now Jew and Gentile – one new man in Christ. There is not two people of God, there is clearly one. The extremes with this position is that there is no longer any significance for Jews or the land of Israel because the ekklesia of God and Israel are synonymous and the chosen people are now the church and in such way the ekklesia has “replaced” the blessings that were previously promised to ethnic Israel who had been given the land of Israel as an eternal inheritance. While those who hold dispensationalism do not like being daubed with the “Dual Covenant” brush, likewise those who hold to Covenant Theology will try to evade the “Replacement Theology” tag. Confused yet? Does God have one people or two? At the heart of much theology is paradox and it is important that we don’t come down too heavily on one side for if we do we will only get part of the story and while this isn’t really paradox it does need nuance. For I believe the answer to the one or two people question is “both”. But you can’t have it both ways I hear you respond impatiently it logically has to be one or the other. Let me respond first by saying what I do not believe about the two people arguments of some dispensationalists. There is only one way of salvation through the blood of the Jewish Messiah. There are not two ways of salvation, furthermore I don’t believe that the “church” will be whisked away for the tribulation leaving the second people of God – the Jews on the earth. There is only one new man in Christ that will be ultimately saved. There is only one people of God ultimately. However as I read both the Old and the New Testament I am convinced that the “church” (I actually hate our English word “church” and the historical baggage it brings, but that is a rant for another time) was hidden from ages past and was only really “revealed” in the first century after the death, resurrection and ascension of Jesus. This initial gathering was nearly entirely Jewish in nature, and reflected something that has always been true in the history of Israel – the elect in Israel are always a remnant of the faithful (which is why we find Hebrews from the Exodus dying in the wilderness through unbelief). As time went on more and more Gentiles were grafted into the Ekklesia, however I do still believe that the entirety of the ethnic Jewish nation (including currently unbelieving Jews) is what most of the references to Israel were made in the New Testament. With this being the case although I hold to one people of God, there is still a truth that there are promises made to unsaved ethnic Jews, which are different to unsaved ethnic Peruvians. The picture Paul paints for us in Romans 11 is instructive. He is giving an analogy about a tree – how many trees does Paul talk about? It is possible to answer the main answer is that there is one tree, however the answer has to be a little more nuanced than that. The analogy begins with a natural olive tree that represents ethnic Israel. This is a chosen tree. This is a tree that is actually “holy” in terms of it being chosen and separated for God’s purposes – this is not the case for the wild branches that will be grafted in subsequently – prior to their grafting in they are not to be considered “holy” or “chosen”. The analogy finishes with another tree – it is a hybrid tree, it is not a completely natural tree. This hybrid tree is ultimately the tree that will be saved. The one new man in Christ. If we apply this analogy to the “unsaved Jew” and the “unsaved Gentile”, it is clear we see there are differences. The unsaved Jew is chosen until he rejects the salvation that is offered through the blood of Jesus. The unsaved Gentile is not chosen until he accepts the salvation found through Jesus Christ. There is therefore a truth to the fact that God has chosen both the natural and the hybrid tree – although ultimately (and eternally) it is only the hybrid tree that will enjoy the blessings of the Abrahamic covenant. The blessings of this include the land of Israel which I have not mentioned hitherto now, yet the land is a hugely important component of the blessing of all the covenants of God and will ultimately be fulfilled by the Son of God returning to earth and ruling from Jerusalem. Therefore both the unsaved Jew is still “chosen” in one sense and the land of Israel is also still chosen and it is important for those of us who are grafted into this hybrid tree to never forget. 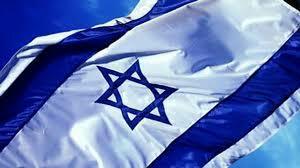 Israel is important in the heart of God and for that reason must be important to us. Image | This entry was posted in Bible Stuff, In the News and tagged covenant theology, dispensationalism, Israel, one new man. Bookmark the permalink. 5 Responses to Does God have One People or Two? We have had ~2000 years of Romanism. Most that the daughter Protestant holds as truth and faith come from that system. If you dislike the term church, you will come to despise the word Ekklesia if you knew of its roots. Much of what you are saying here is accurate. However I believe at the end of this age we will see the destruction of the Christian church with all it’s traditions and religious baggage much as the temple was destroyed in 2000 years ago. Jesus said that he came to redeem the lost house of Israel. In-so-much as these lost tribes of Israel were assimilated with the gentile, one could argue that he has and does come for his own. Brother Jono, you are a brave soul! I won’t bore you with my pontification and sordid theologies….but thought I would mention the kind of conundrum we face; we in the west so love the ‘truth’ and we tend toward bullet points and nice neat and tidy thoughts; all annotated with scriptures verses…….but as you know eastern thought (Biblical or Hebrew or whatever it’s called), is more like juggling; truth can be like five balls that seem to contradict each other in the air at the same time. Maybe after a few more revivals out of God’s grace and mercy, we will experience a reformation and get some new clarity (and extreme messiness) on what this ‘One New Man’ really is; but not just theologically; practically. blessings, dear brilliant brother. It’s hard to legitimize a theology without a thorough sense of the nexus of scripture. Here’s some “didjanoes” I like to ask. *Jacob inseminated 4 women to have 12 sons. Jacob gave the birthright to Joseph – making Josephs sons by an Egyptian more important than Joseph’s older brothers. 12 sons with Joseph replaced by Ephraim & Manasseh equals 13 tribes. *Gen 48-49 shows us that Jacob had 2 blessings: 1 from his progenitors & 1 from the Lord. Jacob used 1 blessing to establish the house of Judah and the other to establish the house of Israel. He bequeathed the name Israel to Ephraim. He placed 1 blessing on the head of Joseph, & 1 on the head of him who was separated from his brothers (Gen 49:26). Gen 38:1 tells us who the one who was separated from his brethren was Judah. *David became the king of Judah 7&1/2 years before he became king of Israel. 10 tribes of Israel were taken from David’s seed and given to Jeroboam. Those 10 tribes were taken into exile – leaving only Benjamin and Levi in Judea. Jeroboam allowed none of the Levites to be priests in Israel. Only 1 Israelite man (a Samaritan priest) was brought back from exile. *No tribes came back from Babylonian captivity except for Benjamin & Levi. The rest were scattered every where. *Jesus was not sent but for the lost sheep of the house of Israel only 2 tribes of which were in the Judean fold. Jesus said He had other sheep not of that fold, that they would hear His voice, and, that He would make 1 fold of them all. To that end, He sent His disciples to Jerusalem, Judea, Samaria, and the rest of the world, as well. *The disciples sent letters by Paul that established the gentile churches in the faith (Acts 16:4-5). I am sure Paul would not have had it any other way. He was committed to the principle that every sure thing have 2 or 3 witnesses. Considering the way New Covenant writings bearing the names of other apostles repeat certain notions, I believe it’s possible that Paul may have been carrying those very letters. I can tell you are one of the ‘smart guys’ so I will not even try to undermine your arguments (God hates divorce and have you noticed that an attorney is able to use the written codes to take any position…..what if theologians were generally ‘divorce attorneys’ arguing the case for ‘divorcing’ the ‘church’ and God from Israel and His purposes with the Jewish people; just a thought) any way, you mentioned Acts 16:4-4 and I assume that you think of it as to referring to what the Jewish Apostles said in Acts 15:20…….which you and many others treat as the total summary of all these dudes thought was necessary to include these newly redeemed gentiles into the community of believers……which was Jewish in nature and practice. The chorus of “I sure am glad that we don’t have to concern ourselves with all that ‘Jewish stuff'”….well what if this list isn’t meant to be the summation of all that was in their hearts from the Holy Spirit; but rather the beginning point so they could sit down at a table together and begin the process of discipleship in the ways of the Lord Jesus Christ, the Jewish Man. We keep running from what we see around us that is rabbinic Judaism……..and may be missing out on the voice of the Bridegroom to His Bride to prepare for a biblical wedding on His timetable and calendar. The last 1800 years of the void of biblical context to our faith has done a pretty thorough job of making replacement theology the norm and actually the air we breathe even in those places that think they are free of it. The coming reformation is going to be quite a challenge to our thinking and I hope we don’t choke on the smoke from the book burnings that will take place……..but our hearts will have a ‘bridal satisfaction’ and we will love His appearing as beautiful brides………….don’t be a divorce attorney; the Bridegroom is coming! He is coming for a bride with oil in her lamp.